Divorced, with two grown-up daughters, Agnes is contending with unemployment, menopause and the prospect of becoming a grandmother. While she cherishes her relationship with her daughters, Agnes isn’t ready to give up on working life or the possibility of romance. 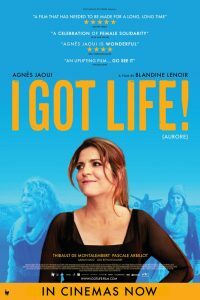 As our heroine, Jaoui is magnificent – warm, inspiring and credible as the beating heart of this “vibrant, uplifting look at a stage of life that the movies so often forget.” (Time Out).